Get a 5-in-1 twin bottle spray mop. With a 320mL twin spray bottle for effective use of your scents and detergents. Extra brush included for extra shine to your floor. Suitable for most types of flooring allowing you to clean the whole house with one tool. 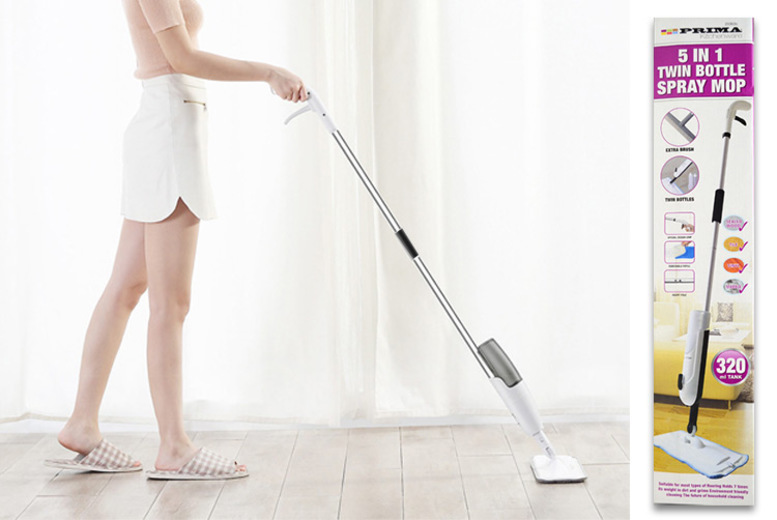 Transforms the way you do your housework.